Crying Over You is the latest EP to come out of the Saints & Sonnets, Huxley and Jimmy Poster's label. J Cub is actually Jacob Kelly and here he teams up with vocalist Bibi to create a blissfully laid back house track. Slow, soulful vocals from Bibi front a track of tight hi-hats, warm pads and a gently rumbling bass. The original track isn't even remotely aimed at the dance floor - it is a pure, chilled house record for lazy days by the pool. Instead two remixes have responsibility for creating something to make you move and so the original is actually bookended by these two mixes. BNJMN's take opens the EP and it's an organic-feeling dub of the original. The vocals are edited to turn them into additional instrumentation within the record and the track strikes a series of uplifting chords - the layered percussion create something less dense than a house track, closer to the soulful spin on dubstep that Joy Orbison has had such success with, albeit slower. The closing remix comes from Dial's RNDM and it is the most conventional of the three versions here. The vocal is cut up and spliced across the track's length, giving it a deep, sensual sound. It still ultimately retains the laid back feeling of the original but layers in some faster low-end bass lines resulting in a more progressive house feel. Whilst the original is a pleasingly chilled effort it is the BNJMN mix that really shines here. 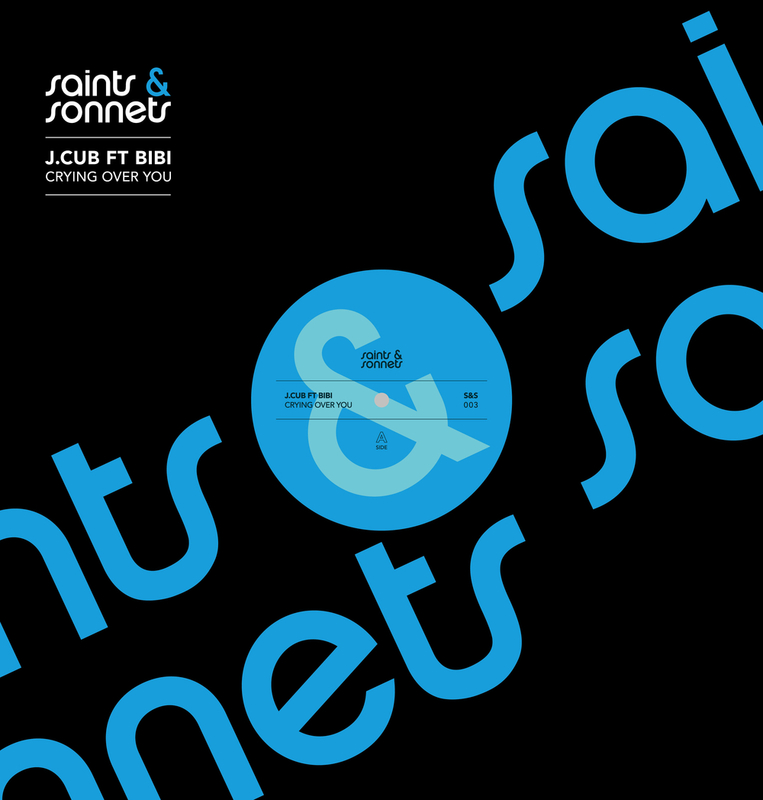 Crying Over You is released through Saints & Sonnets on 14 August on 12", following thereafter digitally. Detroit Swindle are Amsterdam based Lars Dales and Maarten Smeets. This, The Wrap Around EP, represents Saints & Sonnets first release since Ethyl & Huxley's popular '3 Feet High' last year. 'The Wrap Around' itself is a soulful house track. The feel is pretty straight up with warm washes and a male vocal creating summer vibe - the press release likens it to Detroit, hence the name I would imagine, but if 'The Wrap Around' inhabits any city it's a fictional one smack bang in between the motor city and Chicago. The drums and echoing atmosphere have a feel of techno about them whilst the bass and vocal are pretty much straight up house. Unfortunately 'The Wrap Around' feels a little lost - it's not a great house track and has none of the cold mechanical soul of great techno. It seems to want to be liked just a little too much. Much better is second cut 'Pain Tomorrow' - more obviously Detroit inspired, it's a tight minimal track that retains some funk but feels considerably more sincere, a loft party, clinking-glasses, trainers-squeaking across floorboards kind of vibe. It could easily have fallen out of fellow Detroit worshippers Motor City Drum Ensemble's record box. A good thing in my book. As Pattern Select, Milton Jackson and Mathias Schober offer up a remix of 'Pain Tomorrow' for the final track here. The first three minutes are frankly nothing but an overly long DJ lead-in but from there it gets more interesting, stripping the original back and adding some thick, heavy drum and darker synth work whilst keeping some of the space and atmosphere of the original. The Wrap Around EP is release on Saints & Sonnets on 7 March.